Staying in the Present, Mindfulness? Reduce Vulnerability to Emotion Mind? If you responded "YES" to three or more of these questions, you will receive great value from this program. The Adolescent DBT Skills Training group is for teens who would like to learn how to cope more effectively with intense emotions, problematic thoughts or behaviors (i.e. negative thinking, self-harm, substance use, suicidal thinking), and/or relationship struggles. Mindfulness, Interpersonal Effectiveness, Emotion Regulation, and Distress Tolerance skills are taught in order to reduce self-destructive behaviors and learn more adaptive ways to manage painful emotions. Tuesdays' Teen Group from May 14 - August 14, 2019, all 14-Week Programs (we skip holiday weeks). 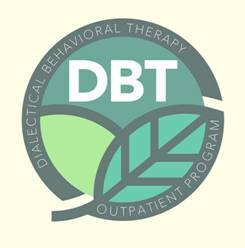 What are the "Five Steps to Enrolling in a DBT Skills Group?" please visit www.LisaWessan.com or call 978.710.8039. Copyright © by Lisa Wessan 2019. Return to Main DBT Page.